translation: She is a popular Brazilian religious figure of devotion, informally worshipped for her supposed realization of miracles. 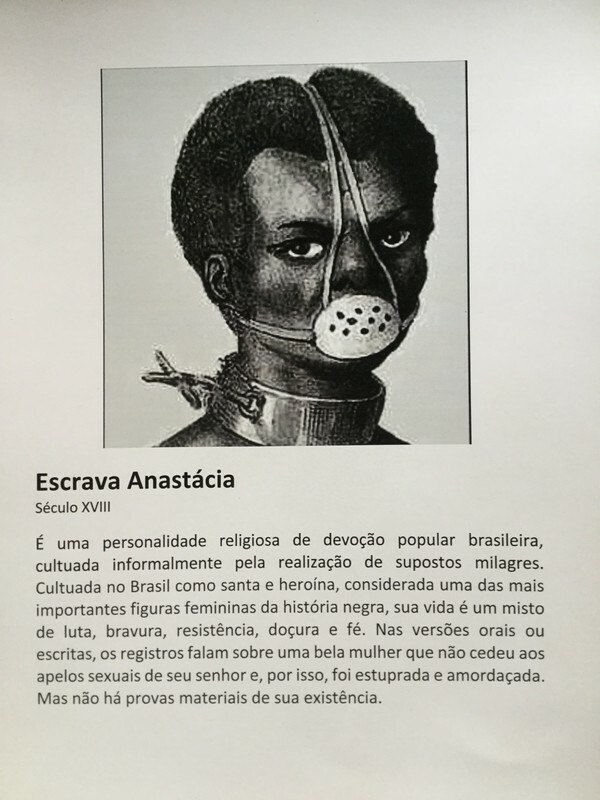 Revered in Brazil as a Saint and a heroine, she is considered one of the most important women in Black history. Her life is a mixture of fighting, bravery, resistance, sweetness and faith. In versions both oral and written, the record talks about a beautiful woman who would not cede to the sexual advances of her Master and, therefore, was raped and muzzled. However, there is no material proof of her existence.